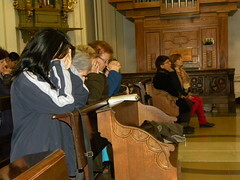 Last Saturday, November 24th, 2012, we organized a retreat which we named “P I.C.U,” which stands for: Parish I.C.U. 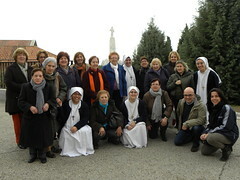 The Servant Sisters of the Home of the Mother in the community of Mostoles (Madrid, Spain) collaborate intensely in the Parish of Our Lady of the Rosary and of Hope. 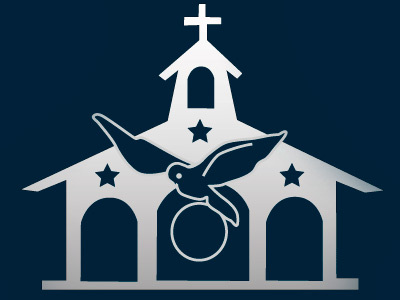 Within the many activities that we realize, last Saturday, November 24th, we organized a retreat with the name: “P I.C.U,” for Parish I.C.U. The retreat was for the soul that was tired out and exhausted on the path, an authentic I.C.U. where the best of the doctors attend us, He that knows all our sicknesses and wounds. 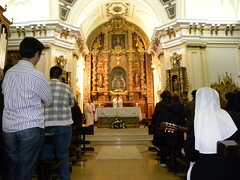 The retreat was held in the "Cerro de los Angeles", a place of grace, at the feet of the image of the Heart of Jesus to whom the Spanish nation was consecrated in 1919, in the hermitage of Our Lady of the Angels, Patroness of the Diocese of Getafe. Father Carlos Diaz Azarola, rector of the Seminary of Getafe, took us in, which facilitated the sacramental attention of the group throughout the day. Two sisters of the community were in charge of giving the points of meditation and the formation talk. This was the first time that some of the attendees would confront a silent retreat, but it was a truly enriching experience for everyone. The retreat finished with the Holy Rosary while climbing up to the feet of the statue of the Heart of Jesus, that from the geographical center of Spain does not tire of calling to Himself all who are “tired and weary”, to all those who are in need of a spiritual I.C.U.